"I can feel the difference in request volume since kicking off with Spoke. Less people are walking up and asking questions. Things are more centralized, and I'm handling less requests for information. I'm finally making progress on the bigger projects!" Yes! 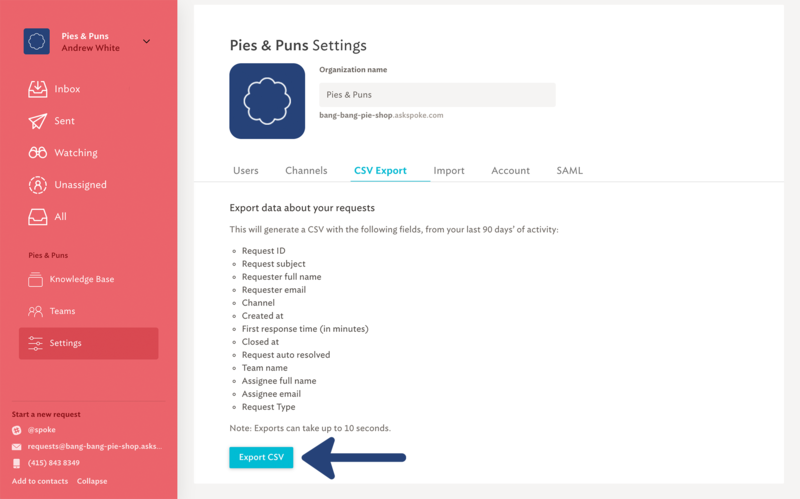 Spoke now allows Admins to export 90 days of Spoke data via CSV. This can help find your most consistent requests so you can add to the knowledge base. These statistics can also help you understand how and when to grow your teams. Spoke is pleased to offer this to users on our Standard and Plus plans. Click here for more information on our billing plans. To export your information, simply navigate to the "Settings" page. On the settings page, select "CSV Export"
This will reveal the CSV export page. 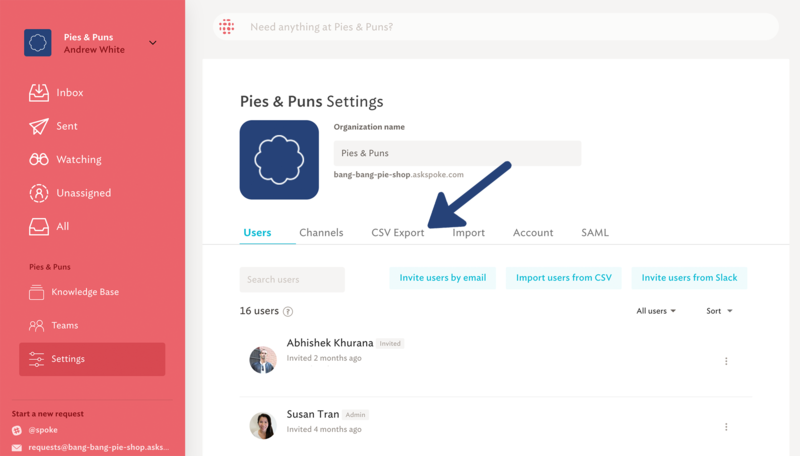 At the bottom of this page, use the "Export CSV" button to start downloading the CSV of your request data. This may take up to 10 seconds to export. Spoke will automatically start a download of the CSV when the file is ready.